One of my favorite things to design is free nursery printables. 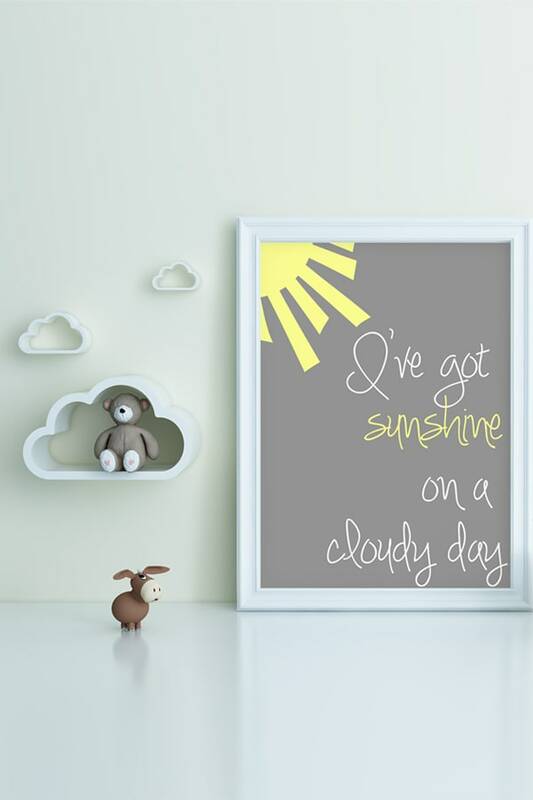 My Nursery Prints post was one of my most popular ones on Bed Rested Teacher due to its popularity on Pinterest. 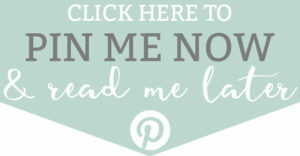 I wanted to make sure that Pinterest fans and readers could still download the files despite rebranding. When I originally wrote this post on Bed Rested Teacher, I was very pregnant. Before we found out we were having a boy, Carl, I spent hours on Pinterest searching for various art ideas for the nursery. I often thought to myself that I could create similar art myself that would cost me very little to get printed, framed, or put on canvas. When I made the prints, I created them in high resolution so that they could be printed up to poster size (20 x 30). 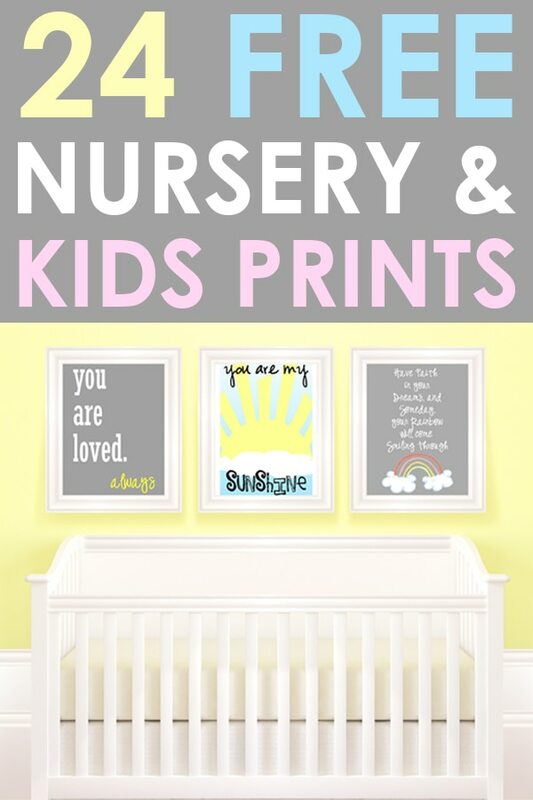 There are prints available for a boy, girl, and neutral nurseries! Prints include popular quotes for nurseries, Disney-inspired (my niece has a Lion King nursery), and Baseball themed (Carl’s nursery is an Orioles theme). There are a total of 41 different files (some are the same print but in different colors). 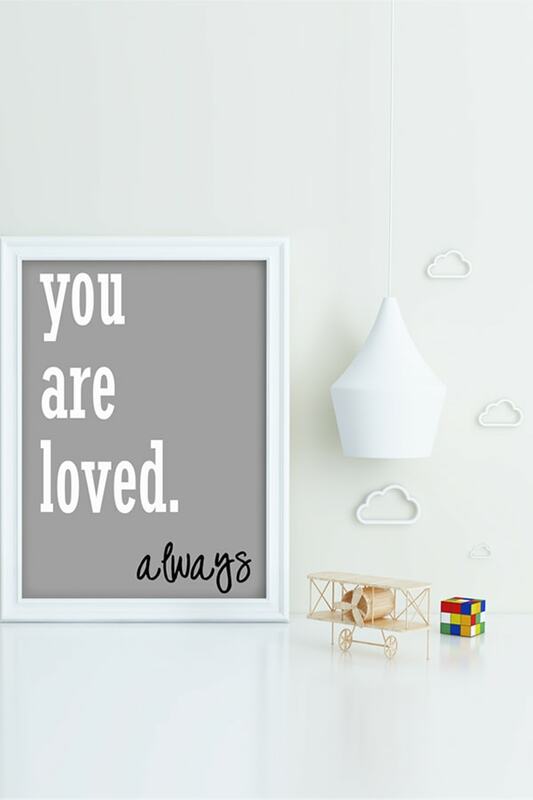 Looking for more Free Printable Wall Art? 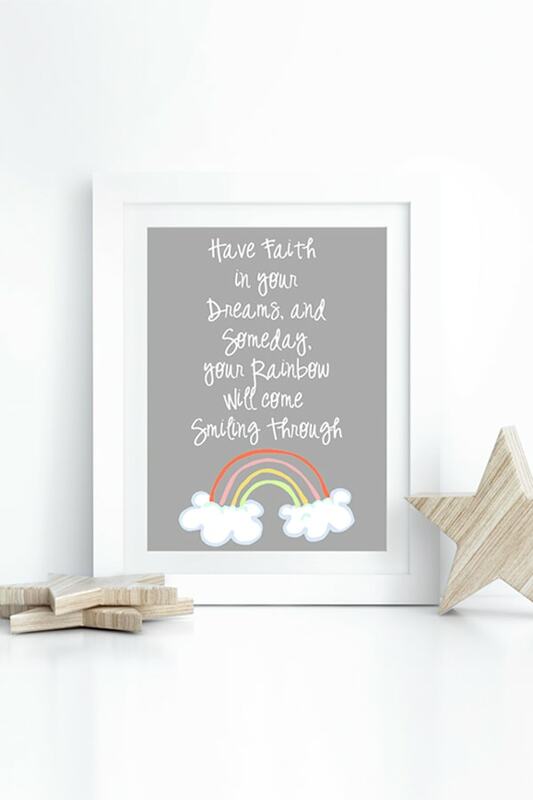 Interested in more free printables for your nursery? 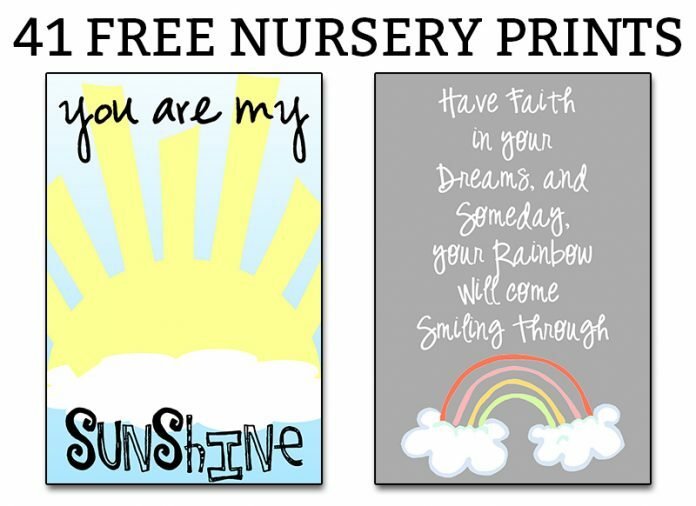 Click here to visit my second set of free prints for nurseries. Looking for free wall art for the rest of the house? I have wall art for everyone room in the home, right here! 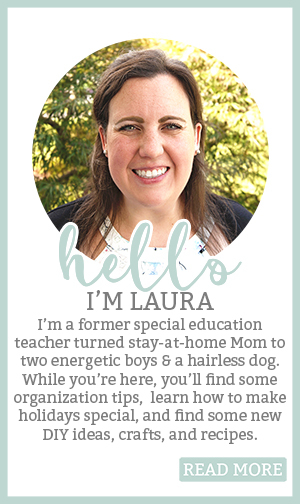 Need help organizing your nursery? Don’t miss this post to learn tips for how to set up a nursery! Here are a few of my favorite prints from the group fo 41 free prints. Below that, you can see all of the prints that are available in this free pack. Download the full resolution files at the bottom of this post. As an Amazon Associate, I earn from qualifying purchases. I am also an affiliate for the HP ink program. Amazon is my favorite place for frames. Check out my favorite frames here. Print at home, order them online or print them in a store. If you’re printing at home, print on specialty paper or cardstock. Then you can just trim the print as needed. If you do a lot of printing, check out the HP ink program. It’s one of the best ways to save money on ink (I don’t just recommend it because I am an affiliate, we have it, too! I have saved so much money on ink over the last couple of years). Click here to use my referral and earn 1 free month! Looking to buy a new HP instant ink compatible printer? This one is great. Need to print in a larger size? Save the file and either take it to place to print it or send off to have it printed. With coupon codes and sales, this is a super cheap option. I also love to print engineer prints from an office store because it’s a super cheap way to print very large-scale art. All of my prints are high resolution so that they can be printed any size as long as the proportions are kept the same. Sign up to become a member of one of my Mom Envy clubs for the exclusive password. Type in the password to enter the protected page. Click on the download image again to download from the Google Drive folder. The files are for personal use only and may not be used commercially in any way. 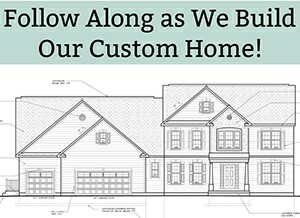 You may use one image from the post and link to it. But, you may not share the files directly (this includes inside Facebook groups). Instead, you may share the link to the post. To download, sign up here for the password! 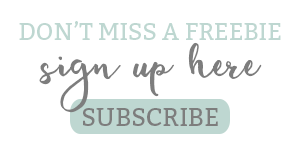 HINT: If you’re interested in more home decor freebies, make sure to sign up for the “All Things Mom Envy” group or the House group. Once you’re signed up, download below using your members-only password. These are absolutely lovely! Such a variety too! 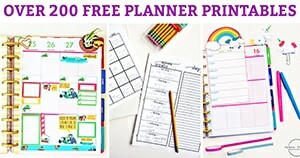 Holy cow that's a lot of free printables. You did an amazing job. Thanks for sharing it with everyone on Merry Monday. Pinned.